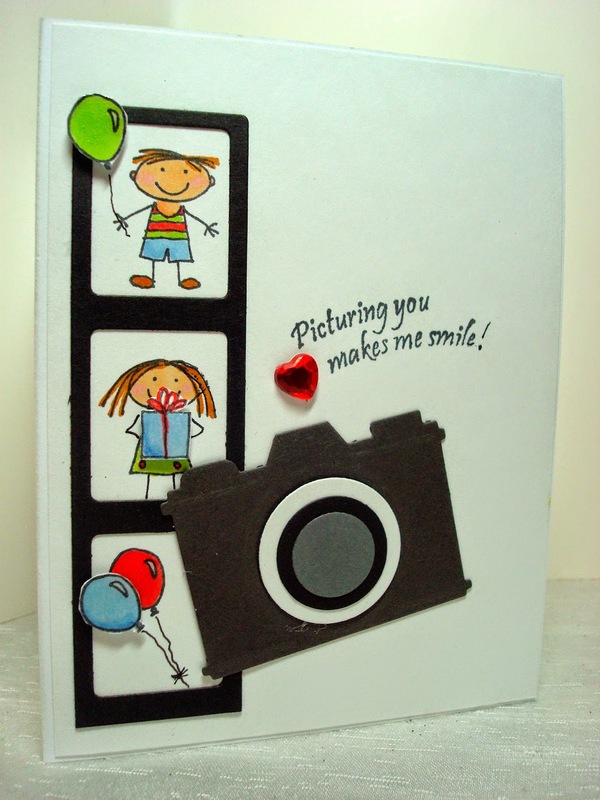 Amy's Creative Pursuits: Picturing You! Hello! I pulled out my retired Stampin Up! 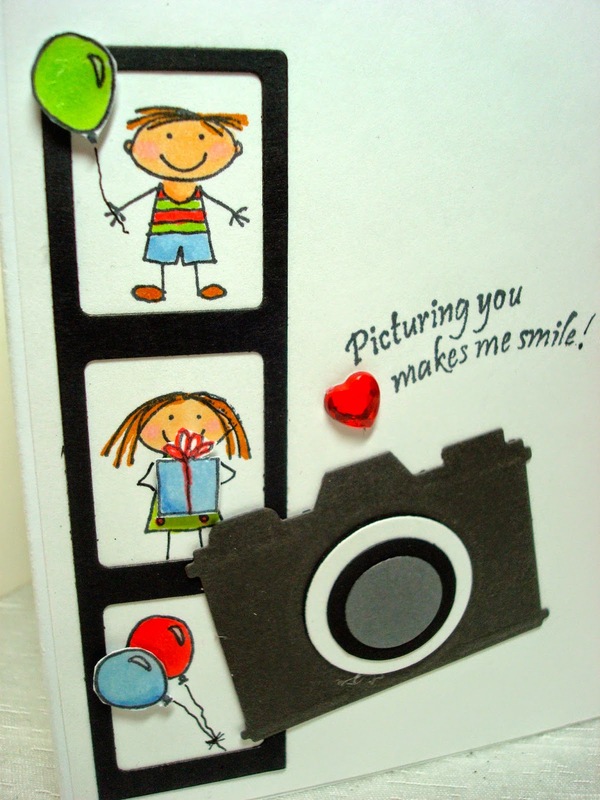 set 'All in the Family' and 'All in the Family' accessories to make this fun CAS card. 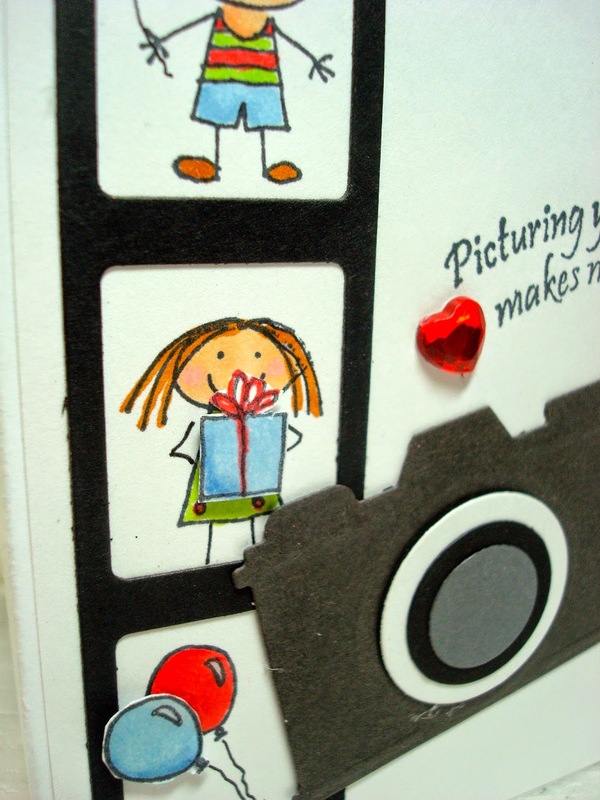 I used Spellbinder's Nestabilities to create the camera and film strip. The sentiment is from another retired SU! set. I popped up the balloons and present on dimensionals, and added Crystal Effects to make them shiny. The images were colored with Copics, and I added an adhesive crystal heart for embellishment. Fabulous image(s) and sentiment combination and love the CAS design! Such a cute card and beautiful colors too!